Making content go viral is the holy grail of every marketer. And although there's no magic trick to make it happen, there are steps you can take to help nudge your content in that direction. 1. Find a topic. By listening to your audience, inviting content from outside sources, and even unplugging to explore offline inspiration, you can find a topic that will resonate with your readers. The graphic also lists tools to help you keep track of your ideas. 2. Create your content. Consider the type of content you want to create and what action you want viewers to take. For example, the average blog post is 1,600 words, the infographic says, but using 2,500 or more words can help with search rank, whereas keeping it short can encourage more comments. 3. Promote your content. 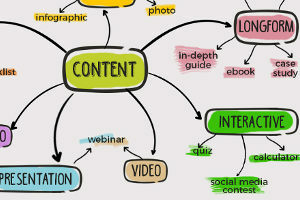 The graphic suggest techniques and tools you can use to help you share your content. Going viral may not be quite as simple as one-two-three, but making a habit of following these steps when creating content can help encourage engagement and shares. To see all the details, check out the infographic. Tap or click to view a larger version.